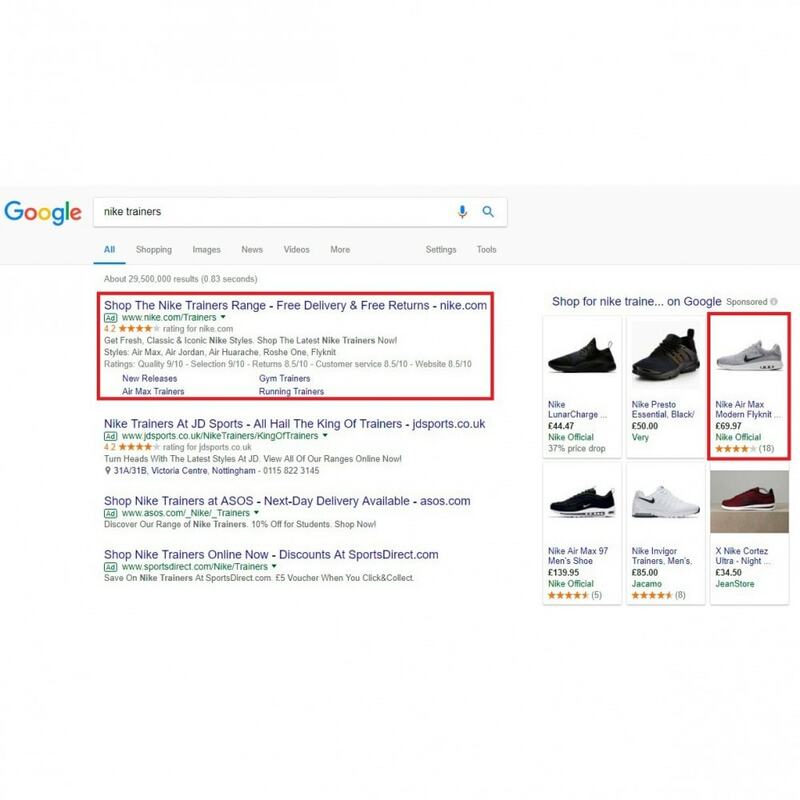 Benefit from Google certification to strengthen your credibility as a business and consequently gain the trust of online shoppers. 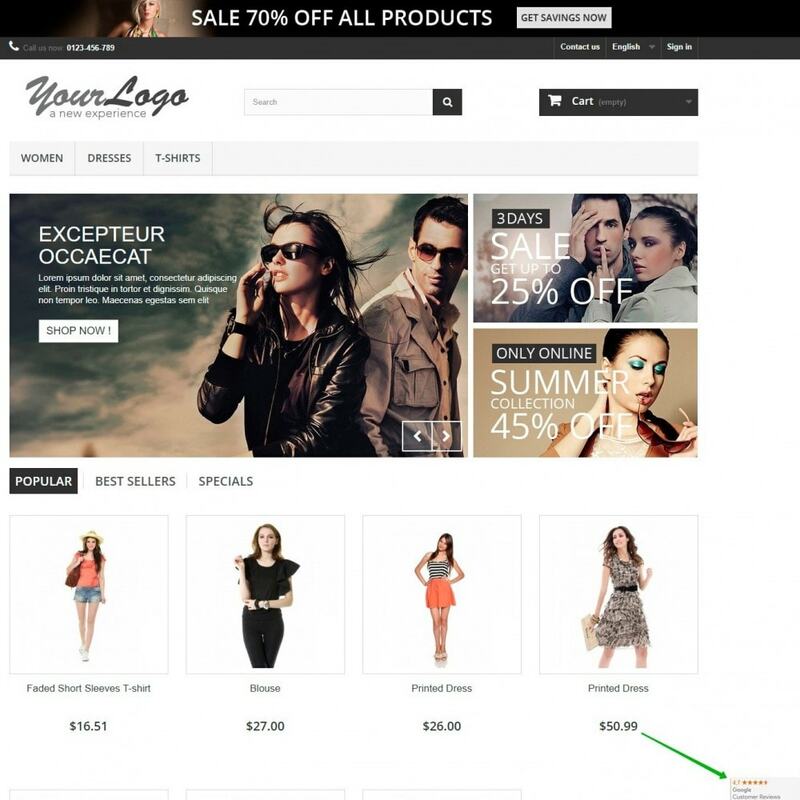 As a result, you’ll be able to turn prospects into customers and boost your sales significantly. 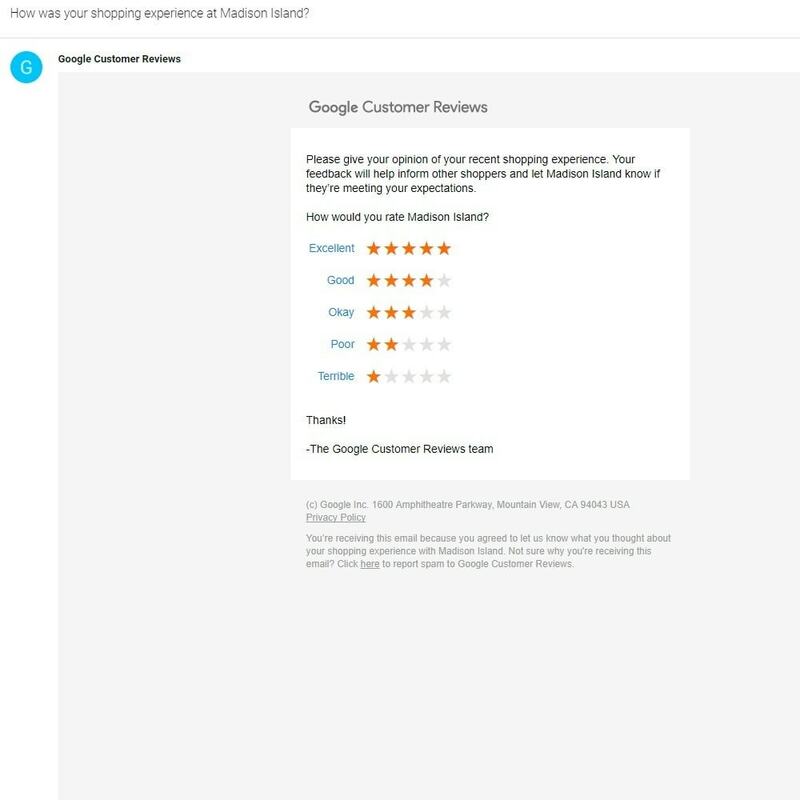 Also, showcase your strengths thanks to transparent and genuine feedback to drive more traffic to your store and therefore increase your conversion and click-through rates. 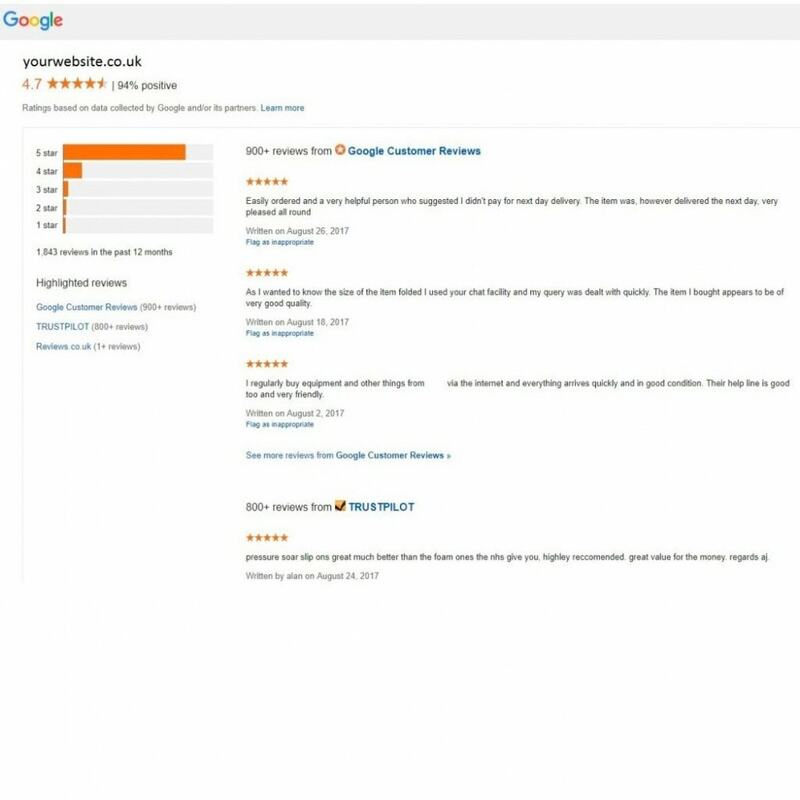 Enable Seller Ratings on Google Shopping and Search Ads. 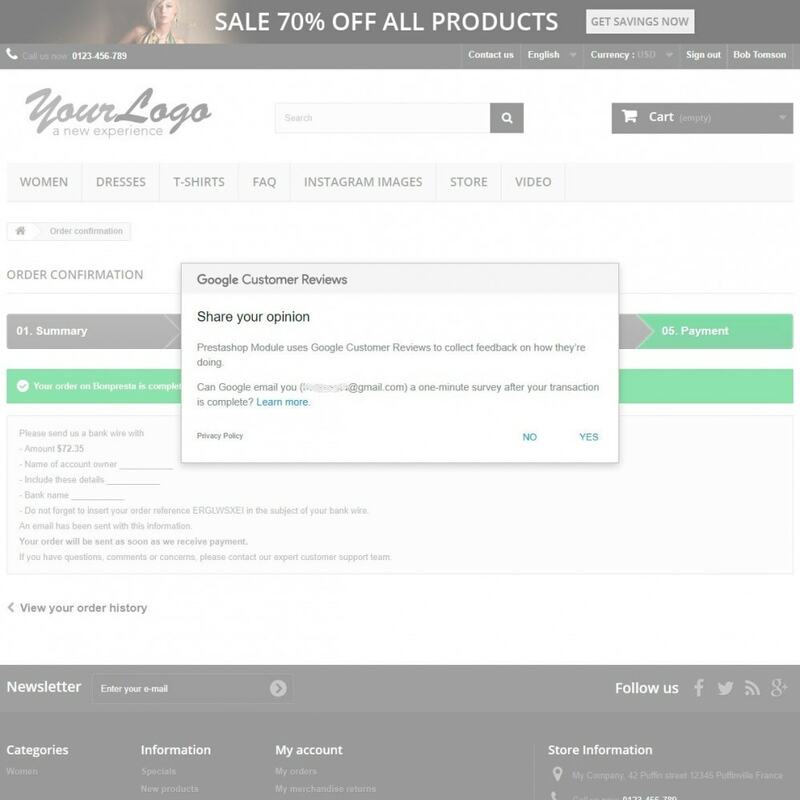 Automatically add the Survey Opt-in in the checkout page. 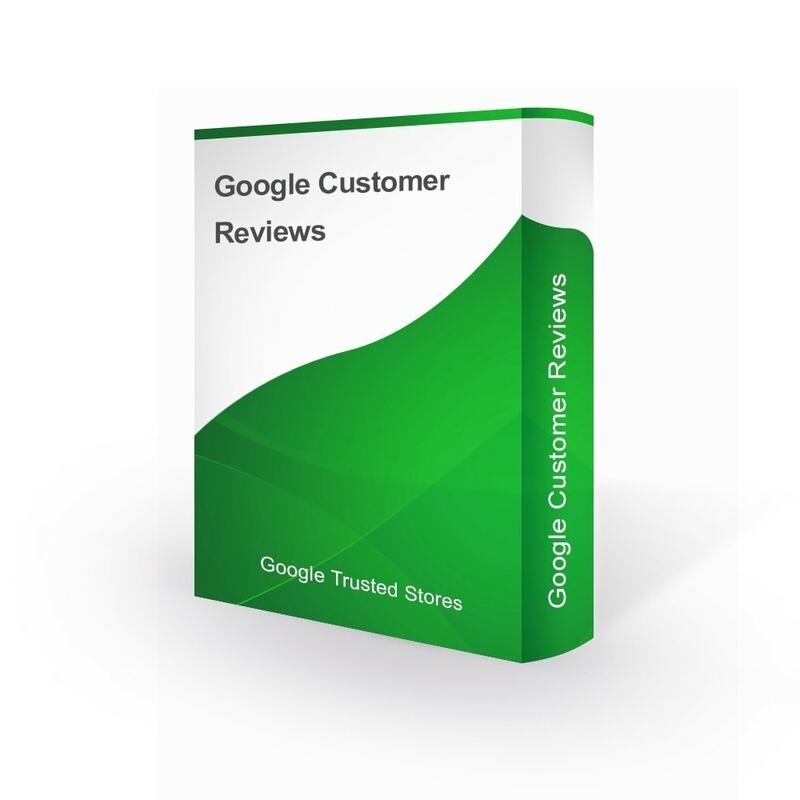 Define the position of the Google Customer Reviews badge. 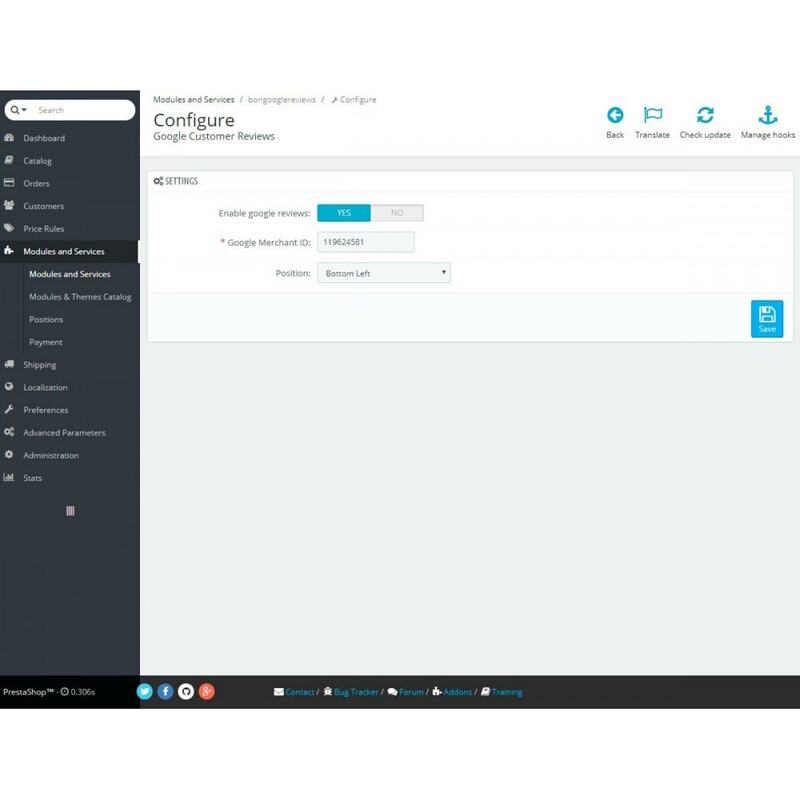 This easy at installation and flexible at configuration module allows you to create attractive Google Customer Reviews in a couple of minutes!